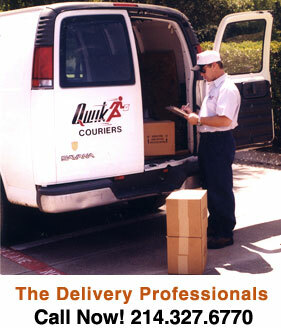 Since 1986, Qwik Couriers has been serving the time sensitive delivery needs of the Dallas/Ft. Worth metroplex. From letters and small parcels to palletized freight, Qwik Couriers is your delivery source. © 2006 Qwik Couriers. All Rights Reserved.